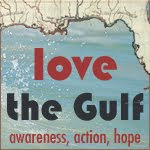 Head on over to this blog for Gulf Coast Updates with pictures. Come on gals lets support the coast and the people that call it home! When I think of "vacation" I think of the beach. I have planned to go to the beach this summer. And I will still go! I am so proud that Alabama has a beach, only a few hours to those white sands. Many childhood memories are from the beach, spending hours at the beach. We never stayed in a hotel that had a pool. We stayed in a house that was a few blocks from the beach. We walked to the beach each morning, spending all day in the sun. And loving every minute. I am appalled at the situation at the beach. What happened to taking responsibility for your actions. I want BP to take care of this, to stand up and be a man and take care of this. I heard Jimmy Buffet was giving a concert to benefit the Gulf Coast, and then I heard some of the free tickets showed up on Ebay for a starting bid of $100.00. We have given, all we could to many disaster in and around the U.S. So I am asking my 5 followers to give. Keep your plans and go to the beach, spend your $. Show the merchants that we are not going to forget the beach. After hurricanes, many rebuild so we can enjoy the gulf coast. And amazed! It seems all of you want this as much as I do. It's awesome that we all feel the same way about this wonderful world of blogging! The camaraderie we have developed between all of us speaks for itself. And there are so many more Sisters to meet! What fun we shall all have! Parties and giveaways, tours and workshops, sharing creations and ideas - all of this is in store for all of us. From home decor to crafting, our days will be full of fun in the months ahead. 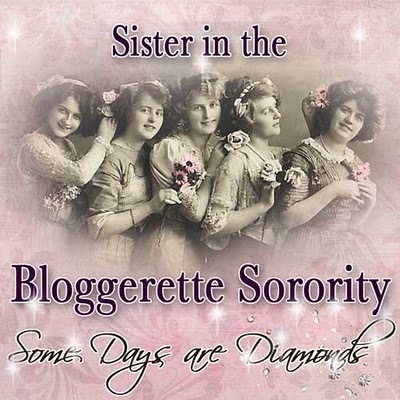 I've received some AWESOME ideas for our new Sisterhood from all of you and I am really looking forward to bringing it all to fruition. Ahh....to sit in a swing on a cool afternoon and enjoy each others company. A tall glass of sweet Tea, with a big ole piece of lemon. A ceiling fan or a breeze. Maybe your pet cat curled up on the seat next to you, purring and feeling content... But in reality, It is HOT! Hot as a firecracker. There is no sitting on the porch in a swing. Your in the house under the air. Alabama in June is hot, maybe July will be cooler.....yea right. Last Friday we celebrated our 28th wedding anniversary. If blogger would let me up load pictures I could show you the flowers my hubby sent me. Or I could show you the picture of us at Top of the River, enjoying a great fish dinner. Or the Arts and craft show we went to in Cave Springs Georgia, on Sunday. The little community has a COOL cave and a stream that flows from the COOL cave with COOL water. It was in the 90's so COOL air was what we needed. We are still dealing with a cloudy pool and I am so ready to get in the pool but I want to see the bottom. So I am waiting......Monday I went to the doctor for my monthly check up and I lost 6 lbs. So off to walk I go again this morning, lets see if I can do it again this month... This weekend is fathers day and I have no idea what to get Terry or my dad. If they want it, they go get it. So once again I am at a loss. I shouldn't make such a big deal about it but I do.....Have a GOOD WEEK MY FRIENDS! Sorry people, Blogger or more likely my computer will not let me upload pictures to my blog. I will try again tonight or tomorrow. Until then I was able upload pictures of our trip on Facebook. Have a great day. Leaving in the A.M for the yard Sale in North Georgia. She even has it on Esty. I LOVE IT!!!!! Think I will be looking for a change purse this weekend.